We attended the MeadowGrass Music Festival at La Foret Conference and Retreat Center in Black Forest. We stayed for almost the full day and really had a good time. As luck would have it, our friends Andy and Jenny were there too and we enjoyed the day together. The lead singer for one of the bands was another friend, Ben. It was a fun, relaxing day with good music, dancing, food, and visiting. One of my favorites was a Canadian banjo player Jayme Stone. 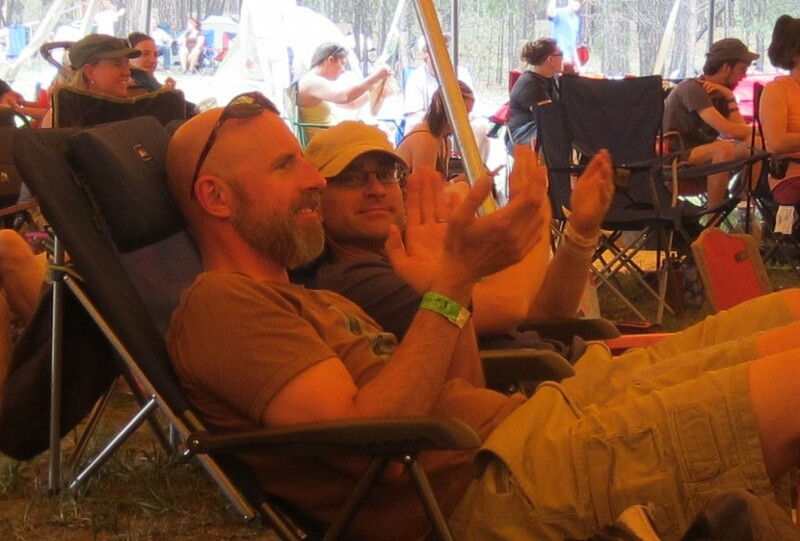 Thanks very much, Steve, for organizing the festival! 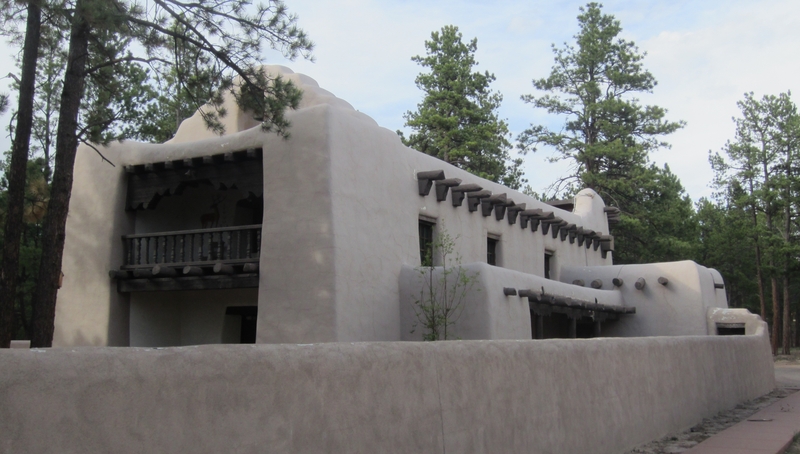 Andy gave me a walking tour of the La Foret grounds, including the adobe chapel. It’s a beautiful place. While we had fun, it felt kind of melancholy at times, since this was probably the last time we will get to spend time like this with Andy and Jenny. They have plans to move out of town. The Black Forest fire started only a couple of weeks later, on June 11. The surrounding forest and community was greatly damaged by the fire. I understand that La Foret is still standing.